Polish Environment Minister Jan Szyszko, whom green activists have criticised for allowing large-scale logging in the ancient Bialowieza forest, called on Wednesday (21 June) for the woodland to be stripped of UNESCO’s natural heritage status, banning human intervention. Bialowieza, straddling Poland’s eastern border with Belarus, includes one of the largest surviving parts of the primeval forest that covered the European plain 10,000 years ago. It also boasts unique plant and animal life, including the continent’s largest mammal, the European bison. 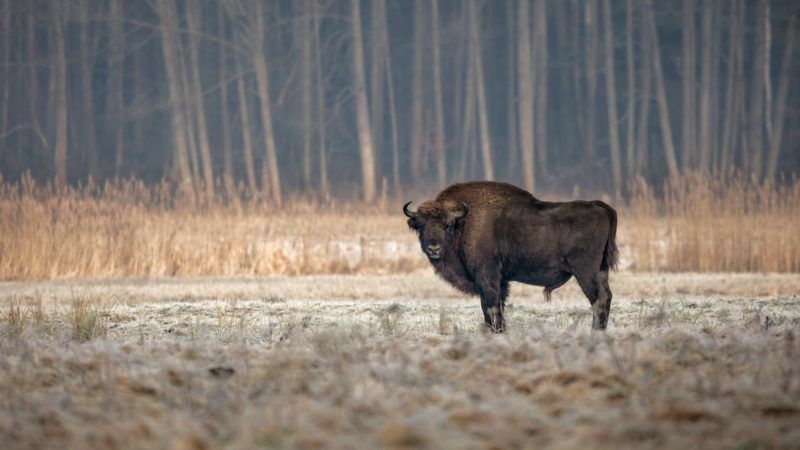 “The Bialowieza forest was granted UNESCO natural heritage status illegally and without consulting the local community,” Szyszko said in a statement, after having announced that “a complaint had been lodged with the prosecutor’s office” regarding the matter. Szyszko said he found it contradictory for the forest to have UNESCO natural heritage status — which bans any human intervention — and simultaneously belong to the EU’s Natura 2000 network of protected areas, which according to Szyszko allows the current logging. The Polish government has said it authorised the logging, which began in May last year, to contain damage caused by a spruce bark beetle infestation and to fight the risk of forest fires. But scientists, ecologists and the European Union have protested and activists allege the logging is a cover for commercial cutting of protected old-growth forests. Szyszko would like to see Bialowieza granted a different UNESCO status – mixed natural/cultural heritage – “and not just natural because man’s activity is visible to the naked eye in this forest”, he said. Greenpeace, whose activists chained themselves to wood-cutting equipment this month to block the logging, immediately denounced Szyszko’s Wednesday statement as “further manipulation”. The environmental group also said logging was in fact out of line with the Natura 2000 rules. “This is an attempt by the minister to impose his own narrative,” activist Katarzyna Kosciesza, of the ClientEarth environmental group, told AFP. Szyszko’s statement comes two weeks before the annual UNESCO world heritage session, which will take place in the southern Polish city of Krakow this year. The forest gained the coveted “natural heritage” label in 2011. UNESCO has previously expressed concern over the logging, as has the European Commission, which in April warned Warsaw that it could take legal action to halt the logging. stupid to cut it down. Don’t they understand they could have a booming tourist industry with that forest?